Each year, Diagonale offer a month residency to a Montreal-based artist. The residency takes place at Rio de Janeiro. From housework to invisible work: a century of feminist mobilizations. 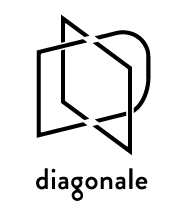 Exhibitions, artists and curators residencies, public activities, workshops, ... as a non-profit organization, Diagonale needs your support to continue to develop its mandate. A little contribution from you is a big thing for us. Make donation in a single clic here!